Reflecting on my PhD journey as I reach the end of my third year and gear up to submission, I can honestly say that I’ve enjoyed my PhD experience from start to finish. Although there have been ups and downs, I would definitely do it all over again. That said, I think if I was to do it again, I’d do a few things differently. There have been times in recent months as the writing up process has started in earnest when I’ve realized where I could have made things easier for myself. At those times I’ve cursed ‘past me’ and wished that I had a time machine to go back and warn myself. If I did possess the requisite time-travel technology, there are five top pieces of advice I’d give myself. Hopefully they might help someone else at the start of their PhD project, or if like me, you’re at the end of your PhD journey, maybe you can empathize. Find a reference manager software package and use it. Ironically, this piece of advice was given to me at the start of my PhD. In the first meeting I had with my supervisor, he suggested that I spend some time figuring out a system to manage my bibliography. I nodded studiously, fervently taking notes on his suggestions whilst in the back of my mind I scoffed at the insinuation that my trusty combination of Microsoft word documents, PDFs, lever-arch files full of print outs, and computer folders would in some way be inadequate (how could such a sophisticated system possibly be improved). I did briefly engage in a flirtation with Endnote, but I didn’t stick with it long enough. I had a fleeting dalliance with Mendeley, but I was non-committal. In hindsight I pretty much didn’t give anything enough time for it to become part of my work practise. Now as I come to writing my bibliography, submitting articles to journals which all use different referencing styles, whilst also trying to apply for jobs, edit my thesis, and possibly eat and sleep sometimes, I really wish I’d taken my supervisor’s advice more seriously. Every single ‘top ten pieces of advice for PhD students’ type articles says something about using a reference manager. I have now discovered why. It’s advice that’s easy to ignore when you’re starting out because you’re already trying to learn a million and one new things, but heed my warning from the future – not using one is currently very painful. ‘Writing’ is more than writing. When your goal is to produce an 80,000 word thesis, it can be tempting – and at times sensible – to measure your time and productivity in terms of how many words you’ve written. That said, we can become very tied to measuring our productivity, and our work ethic, in these terms. This can be really damaging at times because we are not going to write 5,000 words every day. Some of the most productive parts of my PhD-ing have been going for coffees with colleagues to talk through a problem, drawing out mind maps of a chapter plan, or cutting and pasting chunks of text to try and get my argument to come through effectively. Equally important have been things like going to a yoga class or going for a walk, things where I shut my PhD brain up completely return to a particularly challenging section of my chapter fresh. Writing is tough, writing well is even tougher, and we need to allow time in our days to process our thoughts and refine them into thesis-worthy writing. It’s essential to give yourself credit for the thinking, the scribbling, the re-structuring – that’s work. Frankly, it’s some of the most important work. I knew when I started my PhD that this was important, I understood the necessity of planning my time, setting myself deadlines for chapters and planning out what I needed to do each day to reach those goals. I knew that these goals had to be realistic, and that I had to make sure I stuck to them – if you don’t take your own deadlines seriously when you’re doing a PhD there really aren’t that many external people who will hold you accountable. So, until (very) recently, I honestly thought I was planning my work and my time very effectively. It wasn’t until a colleague saw a copy of my planner that I’d pinned to my office wall that I realised there were pretty big issues. This wall planner accounted for every day of the month and planned out tasks to allow me to complete a second draft of a thesis chapter by the end of that month. Each day had tasks written down that accounted for all of my time in that day. The problem with this – as my colleague pointed out – was that my schedule was too tight – it didn’t allow any ‘wiggle-room’. If one of my students came to see me in a crisis over coursework, my day would be totally thrown off. If an opportunity came up to go to a training event, or to take part in some public engagement work, it would mean I wouldn’t make my deadline. This is where wiggle-room comes in – planning in an afternoon, or a day, or even a couple of hours, in which you will deal with the random things that crop up in your work life as a researcher. By actually allowing time to deal with those things, they won’t throw off your deadline. If nothing comes up that week, great, you can catch up on reading, emails, or better yet – have a break. At some point in your PhD, very often during your second year, you will have a slump. You’ll lose motivation, you’ll lose confidence in your work, you’ll sincerely believe that your whole project is irredeemably flawed and you will want to give up. If you haven’t experienced this then I’m very happy for you, but I think that those who don’t experience a slump are a minority (or a myth). There’s a wonderful article on this topic by the Thesis Whisperer which I would highly recommend to anyone going through this period. The slump, in my opinion, is partly the result of imposter syndrome and partly due to the nature of the PhD beast. Your PhD is a three-year project (you could even look at it as a four-year process if it’s an extension of your Masters), you work on this very large project for a pretty long time. As you get to the end of second year, your motivation starts to dip at the same time as your workload intensifies. If I could pay ‘past me’ a visit during this time, I would offer her this advice – be kinder to yourself, take a break. The only thing you can really address during the slump to fix things is your level of motivation. There’s no point forcing yourself to sit at that desk and write when you’re mid-slump – put the stick down, the horse is dead! Sometimes the best way to regain your motivation is to re-set: take a week off (yes, you’re entitled to annual leave), read a (non-academic) book, see friends, sleep more, binge-watch that Netflix series. There is no better feeling than having taken some time off and at the end of it being excited to go back to your research. Also, be aware of what that lack of motivation/lack of confidence in your work is – it’s just the slump. This too shall pass. Make the most of opportunities outside of your PhD Thesis. We are so lucky so have access to the opportunities that are on offer through the NWCDTP. When I started my PhD I was so excited to have funding that would enable me to do a PhD, and rightly so! However, as I’ve gone along I’ve realised more and more that it’s not just the funding itself that’s so great about getting AHRC support through the NWCDTP. It’s also the continued access to a range of different opportunities throughout your PhD project. I’ve been able to attend so many amazing conferences to share my research and to learn about what’s going on in my field. I’ve attended training that’s helped me to foster links with local heritage groups and put on exhibitions and for the public. There’s loads more things you can do like the placement schemes that are on offer, as well as opportunities to work at overseas institutions and organisations. I’d encourage anyone to make the most of these opportunities, and where they are relevant to your PhD and your training to take them up. Thankfully this piece of advice is one that I have followed myself. Researching and writing the thesis has only been one part of my PhD journey. I’ve also put on events, ran conferences, taught, created exhibitions, done public engagement events and co-founded a network for postgraduates researching medical humanities subjects in the North West. These other things have helped to inform my PhD project, while also giving me experiences and skills that I otherwise would not have developed. 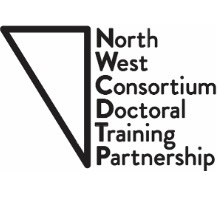 The NWCDTP has so many opportunities available to facilitate these types of developments – it’s well worth looking into because, honestly, these things will be as much as part of your PhD journey as the thesis itself.